Do you work with #opendata? Then take a look at the @opendatacharter Measurement Guide. 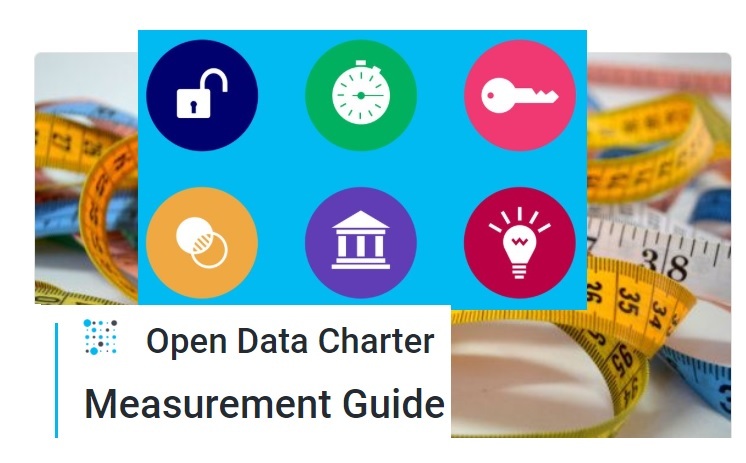 Open Data Charter Measurement Guide - a collaborative effort of the Charter’s Measurement and Accountability Working Group - analyses the Open Data Charter principles and how they are assessed based on current open government data measurement tools. Governments, civil society, journalists, and researchers may use it to better understand how they can measure open data activities according to the Charter principles. Open by Default: The creation of policies and the promotion of a culture of openness are mostly measurable through the indexes of readiness, data policies and assessments of government maturity. Timely and Comprehensive: The measurement of these commitments is largely made by manual inspection of data and supporting resources, and hence is very labor intensive. Accessible and Usable: The technical and legal aspects of open data accessibility are easy to measure and can partly be automated, however measuring the degree to which people can make use of open data is more difficult. Comparable and Interoperable: While the existence of metadata and documentation can be measured, more guidance is needed to enable data comparison and interoperability through the use of agreed standards. For Improved Governance and Citizen Engagement: In most cases, commitments require further clarification due to terms and wording that may be interpreted differently, including reference to local legislation that would make comparisons between countries challenging. For Inclusive Development and Innovation: The number and quality of open data initiatives, business products and services developed, educational programs and research partnerships created can be partly measured. shed light on the often opaque and jargon-filled world of open data measurement, and provides an analysis of the indicators, which includes comprehensive tables of global indicators (e.g. indicator tables) per each Charter principle. Help governments inform, design, implement, monitor and re-engineer their open data activities, including data publication policies and improvement programs. Understand and engage with the underlying analytical framework and architecture of existing indicators. Funders/donors : - to better understand existing measurement tools and improvements that they could potentially support in the future. WHAT CAN I FIND IN THE MEASUREMENT GUIDE? 2. An analysis of how each Charter principle is measured, including a comparison of indicators that are currently used to measure each Charter principle and its commitments. – reveals that only parts of Charter principle commitments, and their components, are being measured; or that some commitments could be measured in the future. However, some Charter concepts are either too broad (e.g. “high-quality data”, “usability by the widest range of users”), or lack a shared interpretation, which makes them difficult to find a common indicator. Read on more in Five open data measurement tools. 3. Comprehensive indicator tables show how each Charter principle commitment can be measured. This table is especially helpful when used to compare how different indices approach the same commitment, and where gaps exist. Here, you can see an example of the indicator tables for Principle 1. 4. A methodology section that details how the Working Group conducted the analysis of mapping existing measurements indices against Charter commitments. 5. A recommended list of resources for anyone who wants to read more about measurement and policy. The Measurement Guide is available online in the form of a Gitbook and in a printable PDF version. If you are interested in using the indicators to measure open data, visit these indicator tables for each principle, or find the guide’s raw data here. Do you have comments or questions? Share your feedback with the community using the hashtag #OpenDataImpact, #OpenDataMetrics or get in touch with Measurement and Accountability Working Group at progressmeasurement-wg@opendatacharter.net.